‘Reimagine the customer experience through the use of mobile/and/or digital technologies. This was the challenge presented to more than 120 employees of Genesis Energy who participated in the company’s first hackathon. 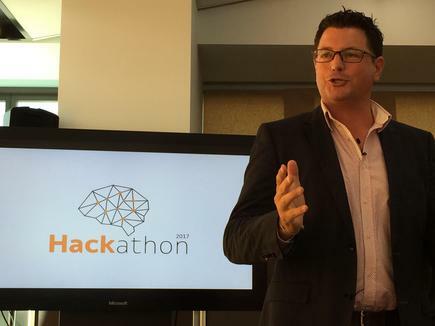 Genesis Energy says the hackathon or ‘internal innovation competition’ is quite possibly an energy industry first in New Zealand. 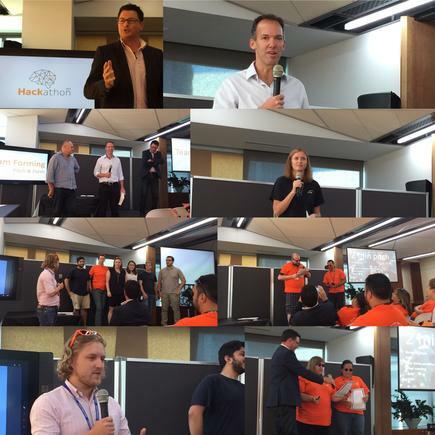 Genesis opened the hackathon to employees from across the business. 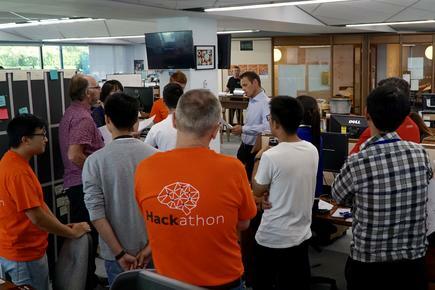 “Not all hackathon people were software engineers,” says Jennifer Cherrington-Mowat, executive general manager, technology and digital, at Genesis Energy. “We wanted a mix of customer-facing people as well as marketers and engineers to join in and have a go,” she says. The participants formed 11 teams and worked for two days. “The innovation that flowed through the 48-hour hackathon was truly phenomenal,” she states. The teams worked into the small hours, using everything on hand – including interviewing members of the public – to test and validate their ideas. She says they gathered many lessons from the hackathon - from figuring out how to host and feed 120 people over 48 hours to nailing a theme and engaging the whole company. The judges - James Magill, Genesis Energy executive general manager product marketing; Genesis director Mark Cross; and Jolie Hodson, CEO of Spark Digital - easily found three winners. The winner – The Dream Team – developed an idea to use a Halo virtual reality helmet to connect with real time data so that energy customers can ‘see’ how much power their appliances are using. The winning team was a mix of technical and non-technical people led by a customer service representative. 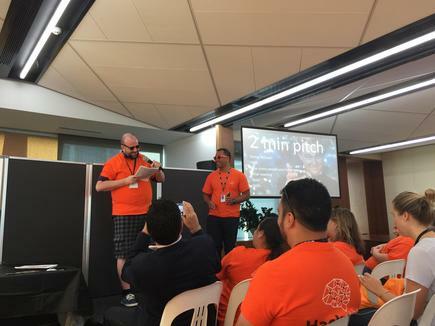 He pitched the idea in one minute; a team formed around the idea and 32 hours later, they won. Other teams worked on variations of chatbots, peer to peer funding for new energy technology, and energy monitoring apps. 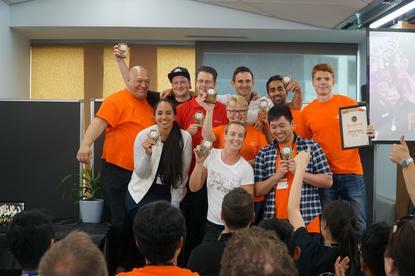 Genesis Energy invited students on the Microsoft Student Accelerator programme and designers from Unitec to the kick off ceremonies at the company headquarters in Ellerslie. “This will enable us both to support the development of technology talent in NZ but also to build a talent pipeline for our future as an energy services company,” says John Perez, group manager, omni-channel and user experience, Genesis Energy. During the kickoff ceremonies, Genesis Energy director Tim Miles told the participants: “The greatest opportunity for transformation is around customer experience. “My challenge to you is to make our customers care and be proud of the fact that they are using Genesis to supply their energy needs." “Innovation is about moving the boundaries,” adds Kerry Topp, general manager transformation and innovation at Datacom. 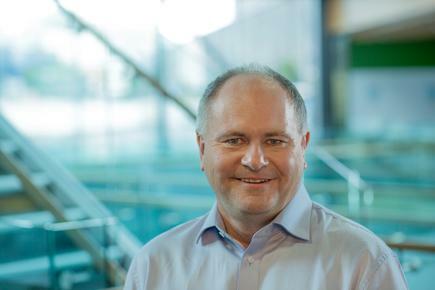 “Move from consumer electricity to customer centricity, that is your challenge,” says Topp, who is also chairman of the Manukau Innovation Neighbourhood. Should your company hold a hackathon? Analyst firm Gartner recommends CIOs run hackathons on an ongoing and consistent basis to accelerate business transformation. 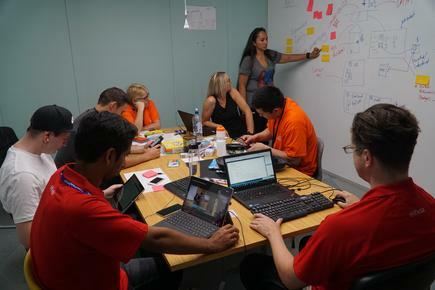 “Planning for the next hackathon should begin even prior to bringing winning proposals to market because it can often take months to create and run a hackathon,” advise Gartner analysts Kristin R. Moyer, Paolo Malinverno, Mark O'Neill and Mike Gotta. They note that this applies, particularly, to highly publicised external hackathons. The first hackathon will present evidence of the value the event can deliver to the enterprise, they point out in a recent research paper. Hackathons can be a highly cost-effective means to prototype new channel and mobile applications. Some CIOs cut the time to market for new capabilities by as much as 90 per cent using this technique, reports Gartner. Hackathons also help identify and create new revenue opportunities. The Gartner analysts say it is important to recognise that these events do not need to focus on developing or building new technologies such as mobile apps. As well, not all hackathons require programming or design skills. “We have seen CIOs use both internal and external hackathons to begin to change their enterprises' corporate cultures and, particularly, to encourage much-needed innovation. Hackathons help promote a new ‘do it yourself’ or ‘maker’ work ethic as part of the cultural change. Gartner lists things to watch out for when organising hackathons. A poorly executed hackathon, particularly external ones, can negatively impact brand and reputation. Internal hackathons can be, and very often should be, less structured and less formal in order to maximise the creative potential of employees, reports Gartner. There should also be clear rules on who owns any intellectual property that results from the hackathon. Gartner advises involving legal and risk staff in planning for the hackathon and to create terms and conditions that empower participants as much as possible, yet protect the enterprise. Genesis Energy invited companies to sponsor the event. 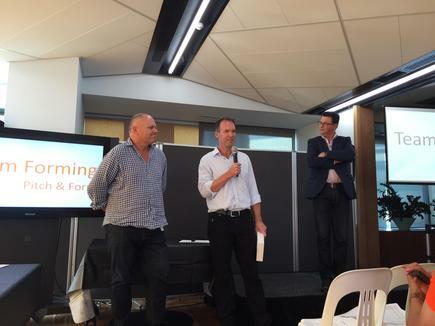 These included Microsoft, Restaurant Brands, .99 phd LeapThought NZ, Camorra, Spark, Theta, Ninetwenty, Auckland Zoom Braemar Lodge & Spa, Centurion, Contagion, George Weston Foods and Potentia.